Berwick is the gateway to the Dandenong Ranges, Phillip Island, Gippsland and the Mornington Peninsula. 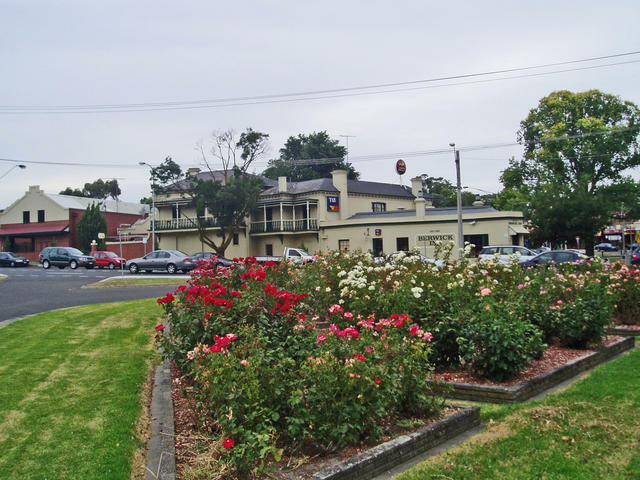 Berwick is renowned for its fine Berwick rose garden in Wilson Botanic Park which lays off the highway only 1km west of the base of the town. Pictured here is a fine example too, at the main cross roads of Clyde St and old Princes Highway. The Princes Freeway now surrounds the town, which has permitted the main street to return to its former busy local use.